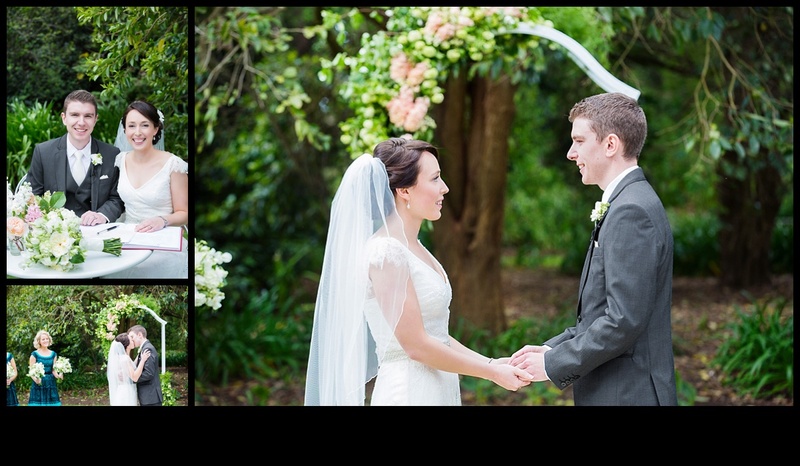 Nick and Laura share a love for Adventure, animals and food, making a picnic at the Melbourne Zoo the perfect place for Nick to propose to Laura on their 6th year anniversary, they met at Vet School over 7.5 years ago and have travelled extensively together through Africa and Europe. 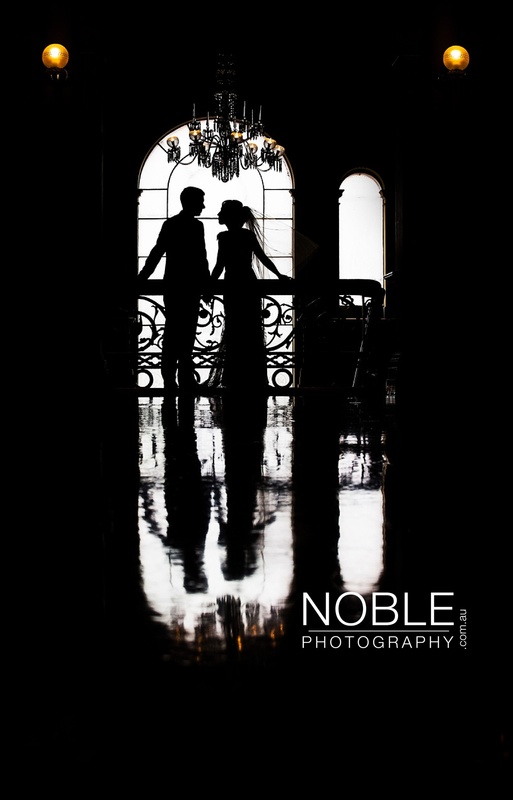 Most of their best memories are from their trips and are looking forward to their Nepal and India trip for their honeymoon. 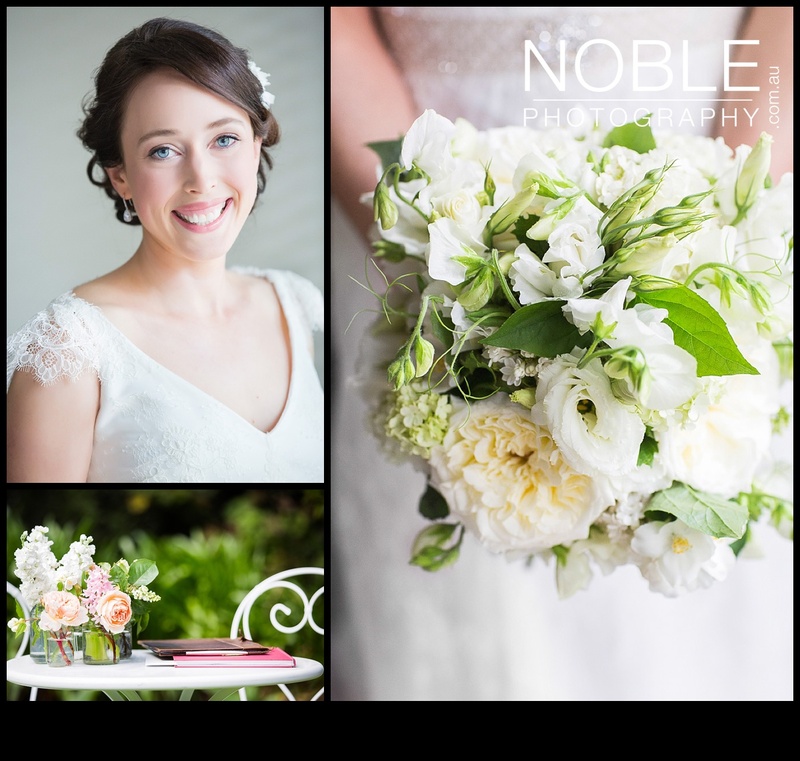 Laura describes her wedding style as relaxed and elegant with lots of natural touches for their spring theme in green, soft peaches and pinks. 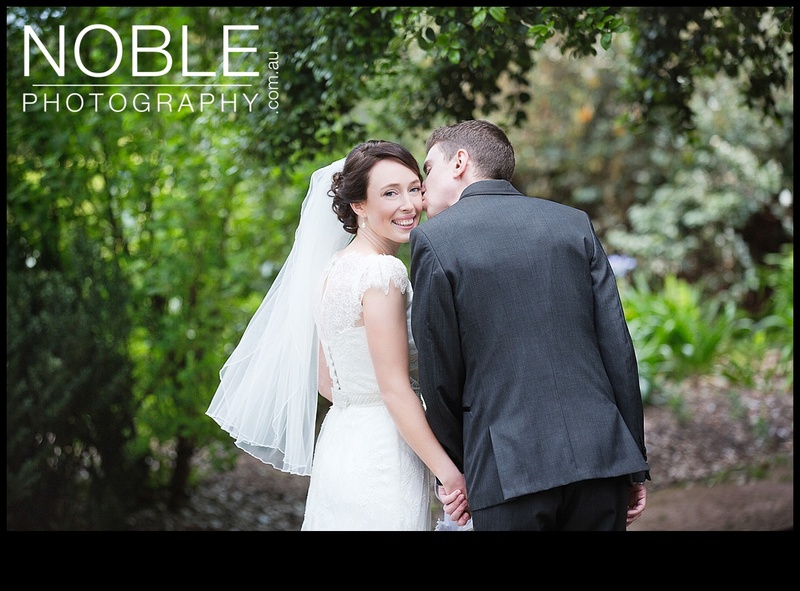 The wedding was held in the beautiful and natural surroundings of the Picturesque Werribee Mansion Gardens. 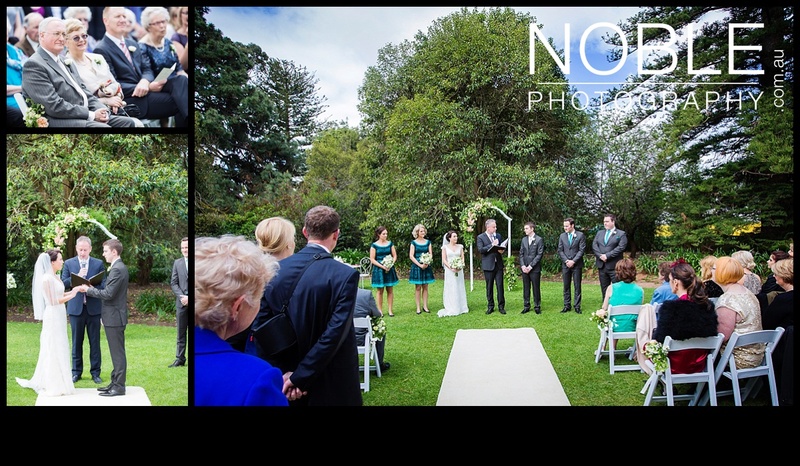 10 acres of beautiful gardens making the most exquisite backdrop for wedding photography. 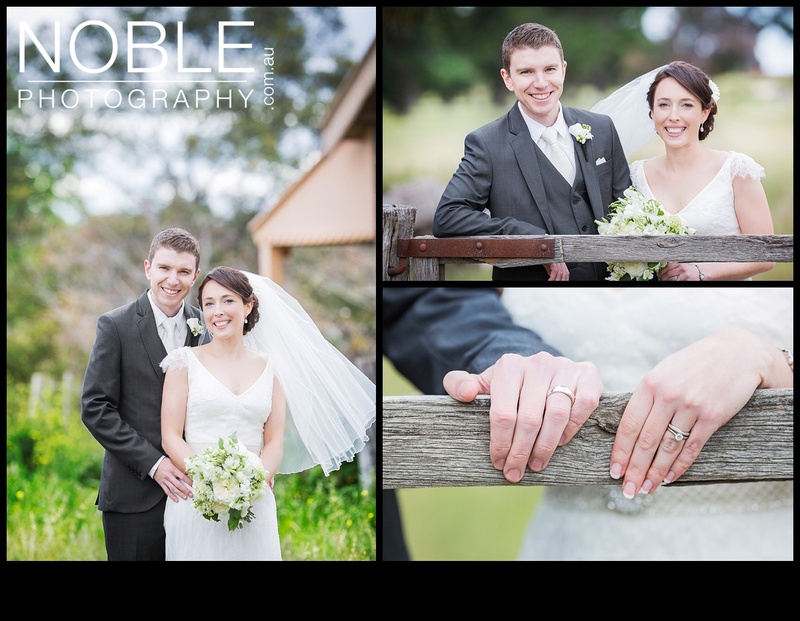 Werribee Gardens has it all! 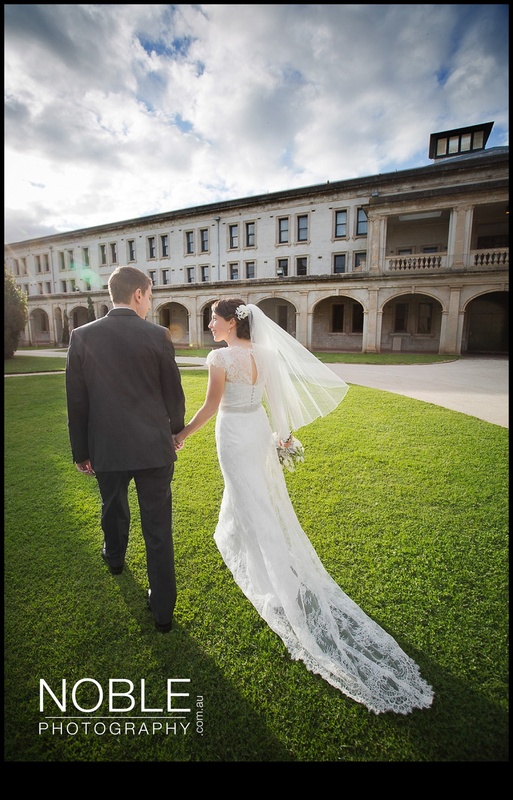 Beautiful Architecture, spectacular manicured gardens and historic Seminary. 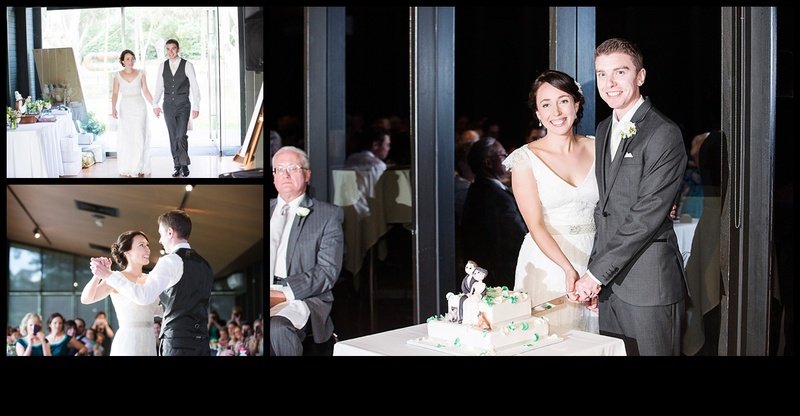 Laura looked beautiful in her Karen Willis Holmes lace Empire style gown. 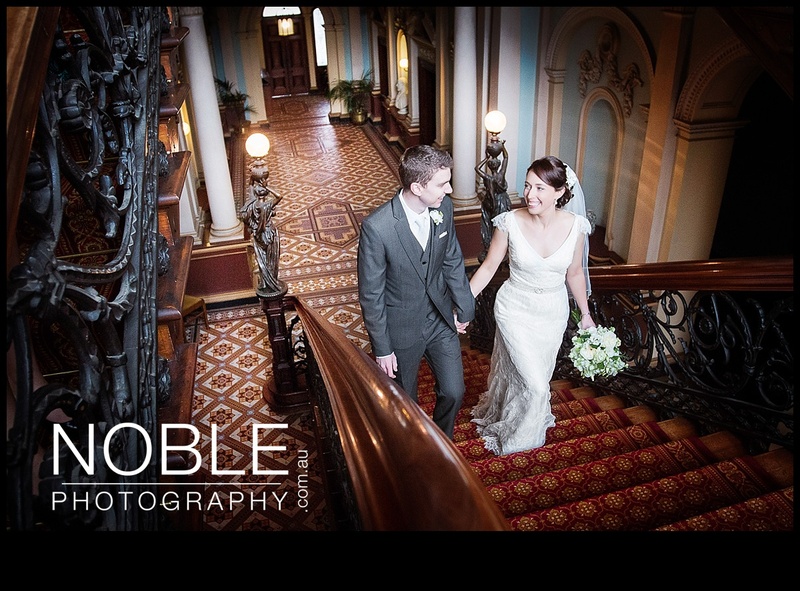 The gown consisted of gorgeous Lace Cap sleeves, a flattering v-neck and a detailed beaded belt which was teamed with a simple finger length veil. 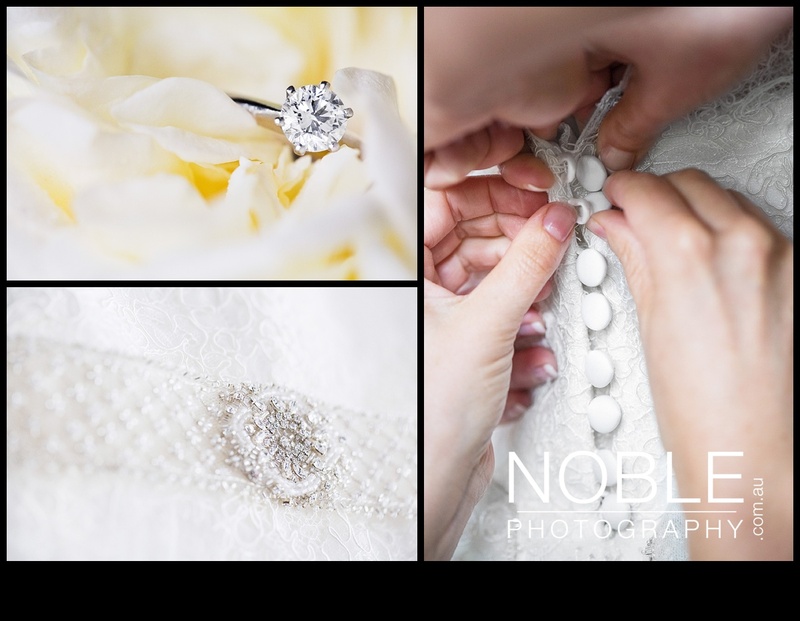 I loved all the effort that went into the details of this wedding making it very personal and special to the couple. 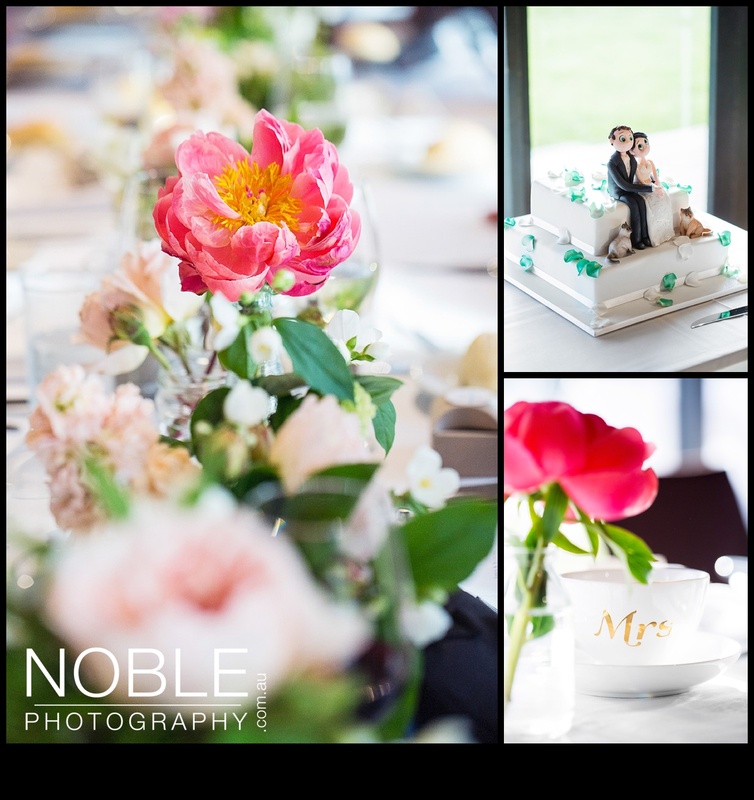 For example their cute cake with dreamy little figurines resembling them in the sweetest pose and of course their two cats Rudy and Scout. 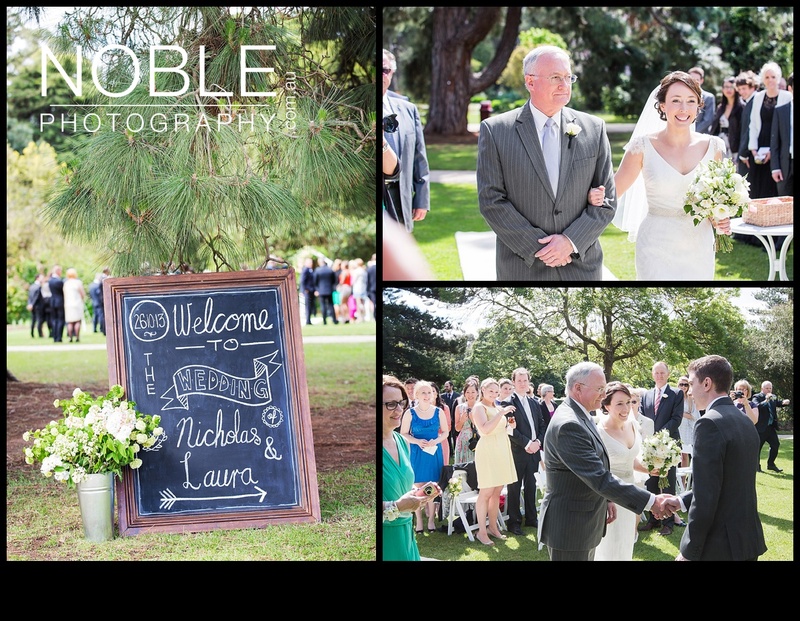 The personalised blackboard and the beautiful flowers were just gorgeous also. 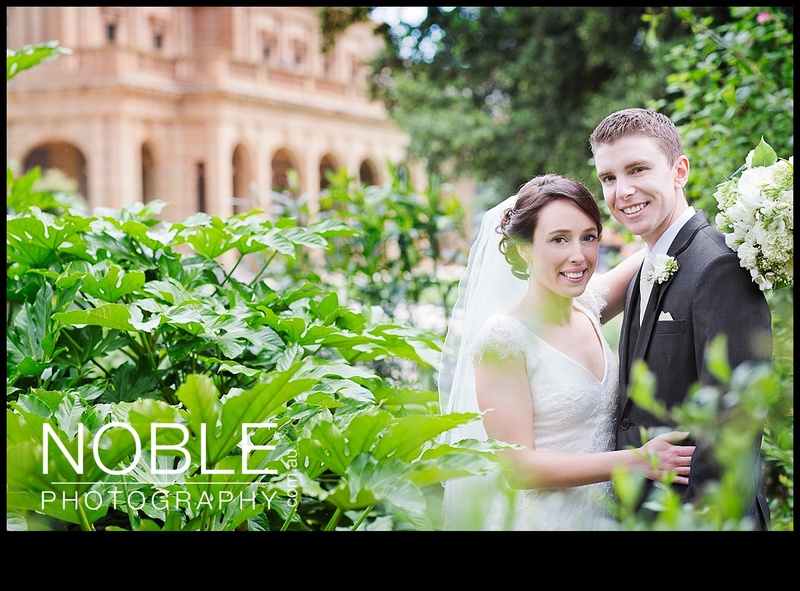 The Werribee Mansion garden’s makes for a spectacular background for a garden wedding ceremony! 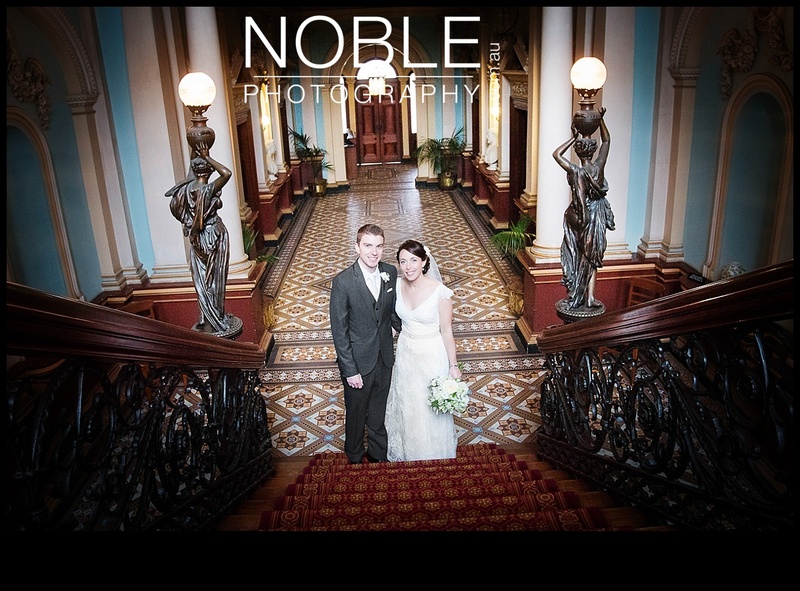 Married at the Werribee Mansion! 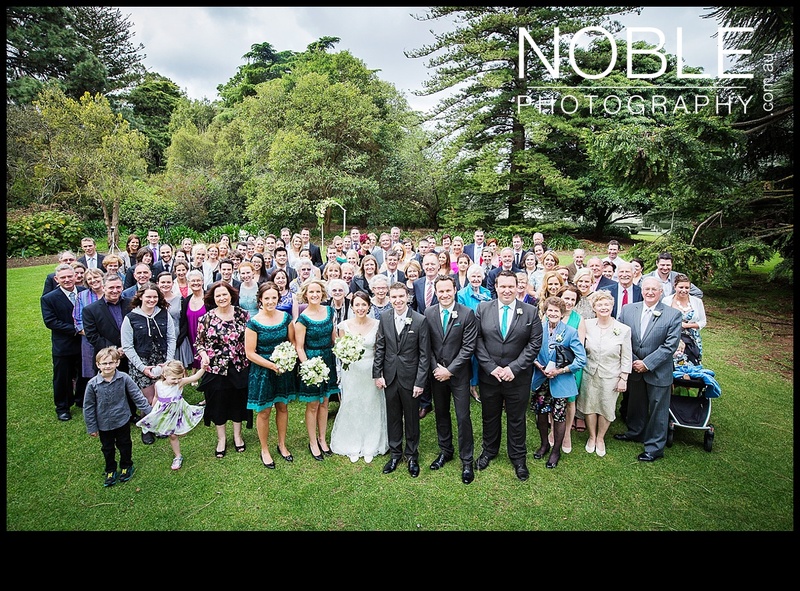 Group photo at the Werribee Mansion Gardens! Good thing I brought my ladder! 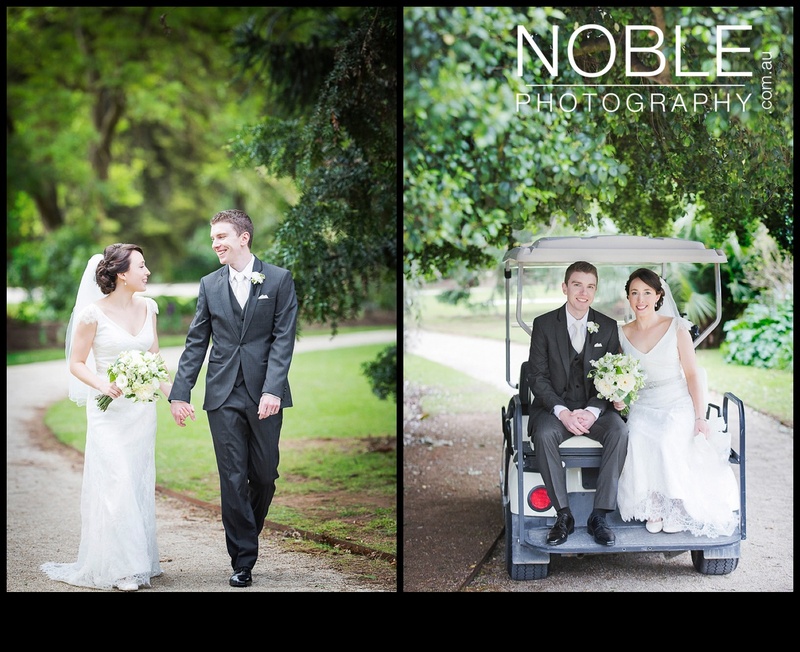 The grounds at the Werribee Mansion are so large it’s fantastic to travel by golf buggy, not to mention dragging our large camera bags around! 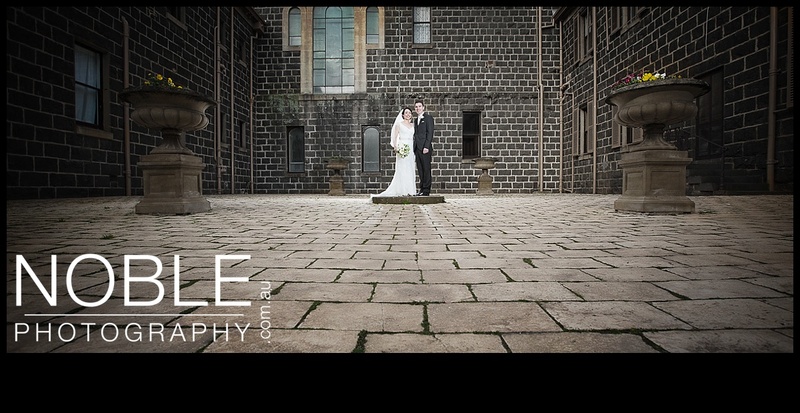 Love this shot! 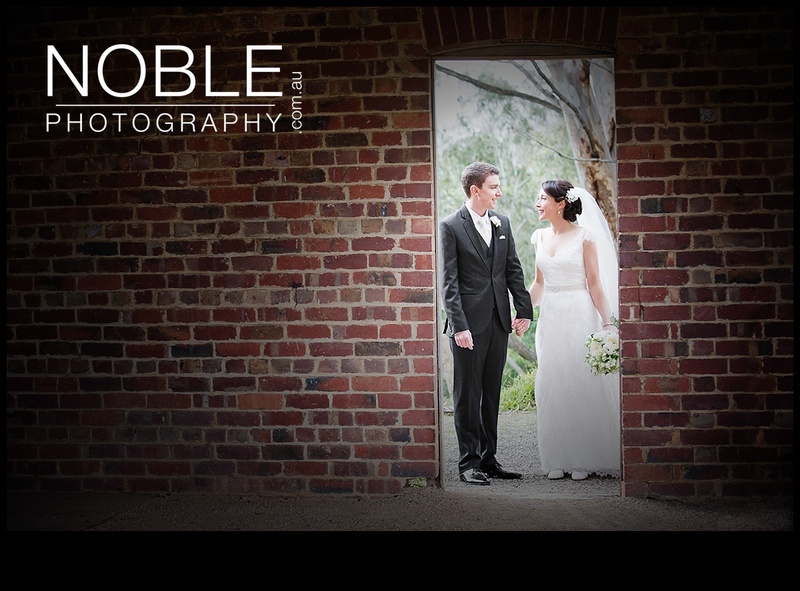 @ the Werribee Mansion Stables! 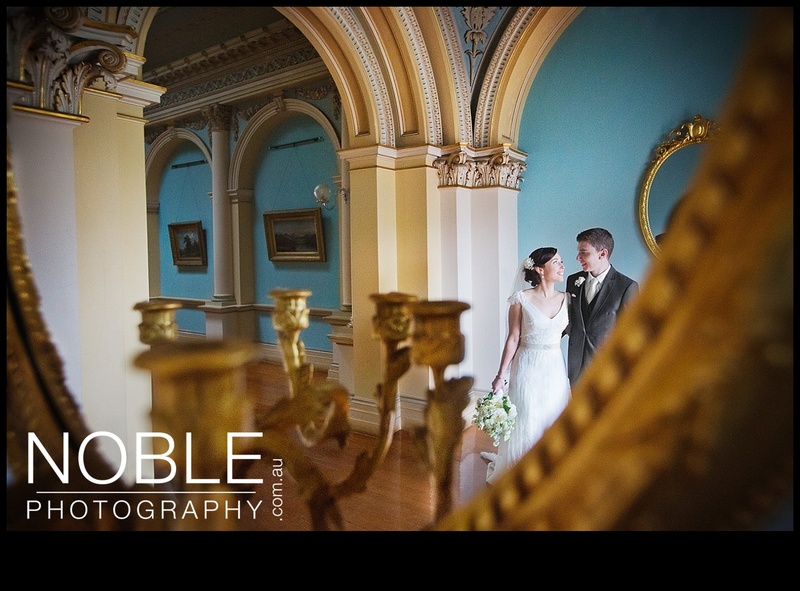 Inside the Werribee Mansion – can’t beat this place for wedding photos! 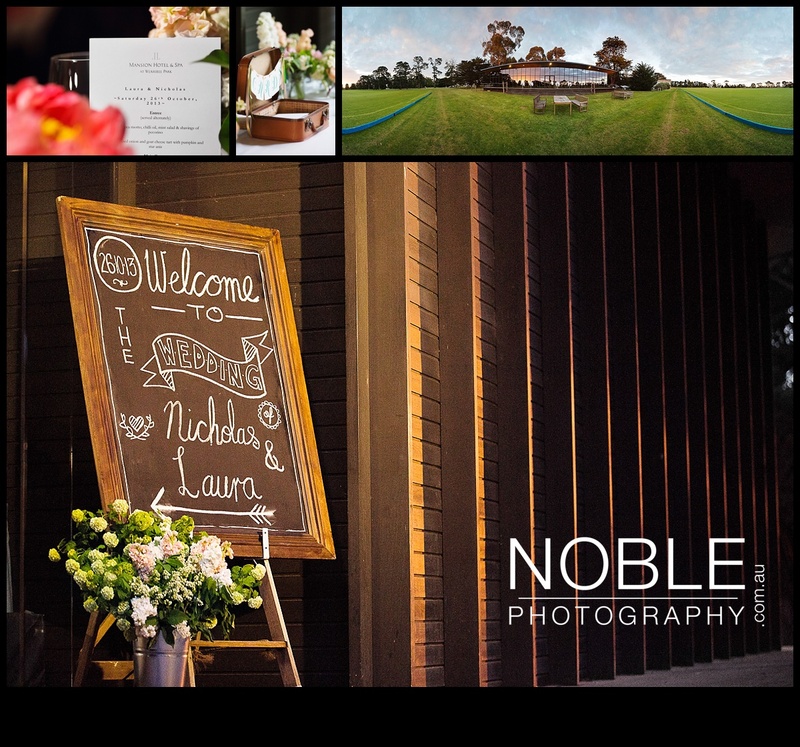 Thank you Laura and Nick for having Noble Photography be part of your day and for the wonderful feedback and comments (See Video on website) on Noble Photography. 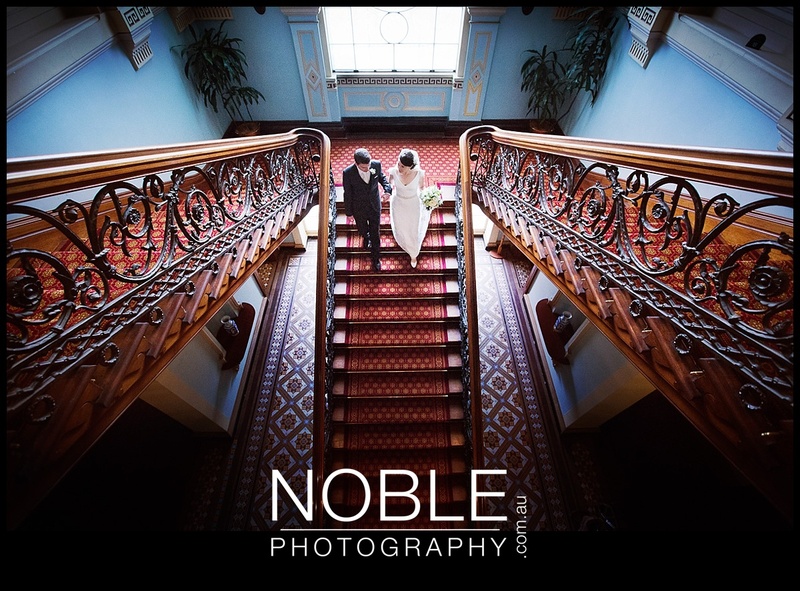 Photographer: Andrew Noble @ Noble Photography! 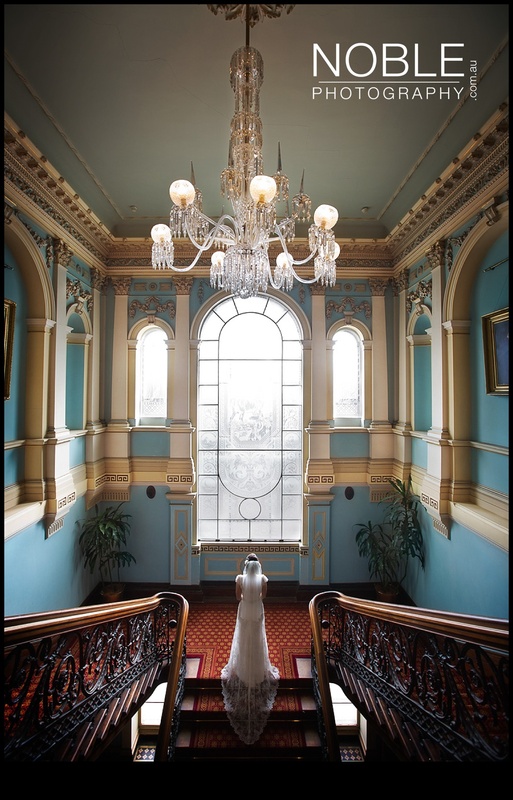 Want to check your wedding date’s available? 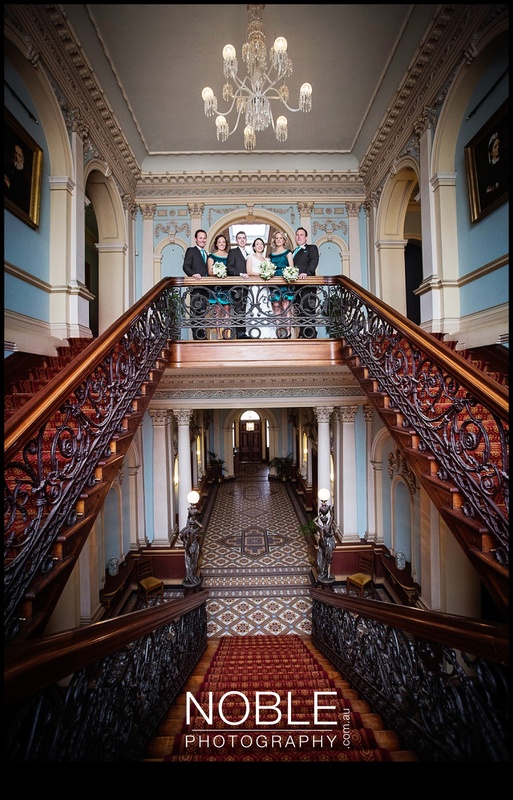 What to just say G’day?